“Eccentrically dressed” and jitterbugging away: Dublin’s Teddy Boys in the 1950s. | Come Here To Me! « New 1913 plaque and mural unveiled. “Eccentrically dressed” and jitterbugging away: Dublin’s Teddy Boys in the 1950s. 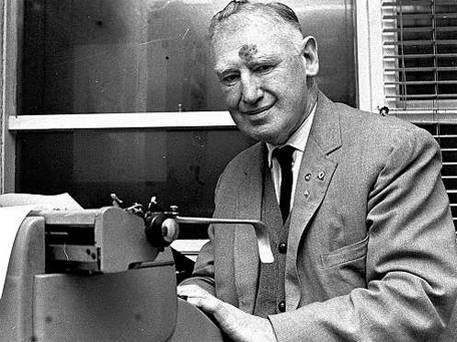 When researching Dublin’s ‘Animal Gangs’ of the 1930s and 40s recently, the story and mythology of Garda James ‘Lugs’ Branigan came into play, with Dubliners of a certain age not only considering Lugs the downfall of the ‘Animal Gangs’, but also crediting him with taking the fight to the Teddy Boys of the 1950s. Like so many youth subcultures which would take hold in twentieth century Ireland, the Teddy Boys had originated in Britain, where working class youths took to dressing in a style which had been popular with dandies in the Edwardian period, and taking to rock and roll as their music of choice. 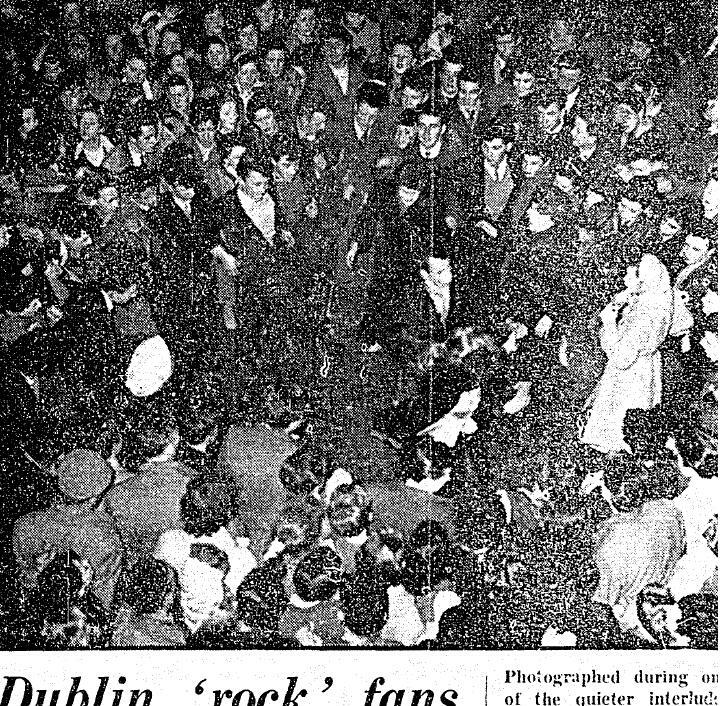 Much of the reputation of the Teddy Boys in Dublin came from the hugely popular film screenings of Rock Around the Clock in 1957, a film Branigan would claim to have seen almost sixty times, though not voluntarily! When the film Rock Around the Clock, commenced showing in Dublin cinemas, it hit the headlines and remained there during much of 1957…. not the film itself, but the antics of the Teddy Boys, who flocked, en masse and often, to see their very own movie. The Teddy Boys would riot in the cinemas, ripping up seats with flick knives,throwing bottles and other missiles from the balconies and engaging in fist and sometimes chain fights, causing great consternation. Garda James Branigan. In Dublin folklore, Branigan is said to have battled the Teddy Boys. “Eccentrically dressed” youngsters were denounced in the same newspaper for causing a row at a disco in Malahide in 1954, one of the earliest references to the youths in Irish media. Noting that the Dublin youths are “said to be more peaceful than their London counterparts”, the paper still reported that their “extreme” jitterbug dancing and attitude had resulted in local young men in Malahide taking it upon themselves to inform the youths that they were not welcome. Knowing the Guards as I do, I don’t believe that either the older ones or the younger ones are baton happy. Having seen some of the Teddy Boys I feel they are just the type that would provoke a riot. The Teddy Boys are all for liberty, their kind of liberty. I hold that the Department should put 40 or 50 policemen into plain clothes to clean up the city and county of these brats and bring them under control. There is no use in using plámás when dealing with these people. It is a terrible thing that a decent boy and girl cannot go to a dance hall without having a knife or bottle pulled on them by people going around in gangs. These youths are now going into the country because they have been banished from a lot of places in the city. They have a special haircut and a kind of uniform. When the show first hit Dublin it inspired waves of Teddy Boy terrorism. Usually it erupted in the cinemas and flowed out into the streets. In an effort to quell the riots, police brass looked for their toughest men. And with bottles, stones and chains flying,they had to be really tough. Jim Branigan was a first choice. In his day he rocked and rolled every pugilist of his weight that Ireland or Europe could produce. And he walked off with all the silverware.If Bill Haley comes back to Dublin again with his Comets, Jim Branigan is one cat who won’t rip it up even for free. But I dare say he’ll rip up any scraps that start’. Some Gardaí at the time did not engage in sensationalist exaggeration of the youths, and one correctly told the Irish Press in 1956 that “too much publicity was being given to these people which had the effect of exaggerating their importance.” Just as the media had rushed to label the bulk of gang violence ‘Animal Gang’ violence in the 1940s, the 1950s saw the new label bandied about. Dancing in the streets. Irish Press.1 March 1957. Fashions change with time of course, and by the late 1950s and early 1960s the Teddy Boys were no longer a frequent subject in the national media. Sam has previously posted about the legendary Rockin’ Kev on the site, who appeared in traditional Teddy Boy garb in the Evening Herald in 1976, but many others would change their styles. While Dublin folklore has it that a certain Garda ‘removed’ the threat from the streets, it’s arguable even how much of a ‘threat’ these youths ever were. Physical force is dear to Irish republicanism. Violence is for hooligans and Teddy Boys. We resent the word ‘violence’ and stick to the term ‘physical force’. My Mother too me to see this film in the Star Cinema Crumlin. My father was not interested in seeing it. She did not want to go alone so she took me. I was very very young, The cinema was wrecked and had to close for several days after the showing. I absolutely loved the crack that night (lol) everybody dancing in the aisles. Seats flying through the air, Sporadic fights breaking out all over the place. The curtains that covered the screen were ripped down. One of the most memorable times of my early childhood, I must admit that I lived in fear of the Teddy Boys of that time, They would congregate on the corners, swirling little chains that the held in their hands. The Ma referred to them as a shower of corner boys. Though I secretly admired their hair style. It was called a ” Dee Aye, D,A., or ducks arse. They did keep Lugs on his toes. I see you’re spelling Brannigan with one N. I’ve seen Lugs elsewhere using two N’s like myself any idea which spelling he definently used? Also is that a Legion of Mary badge on his lapel? Brannigan may have rid Dublin of Charley Henchico and the Animal Gang. His squad’s brutal methods, however, were questionable. He carried these methods into the 1950s and applied them in a laissez faire manner. He personally assaulted my sixteen-year-old brother who was walking home to Walkinstown with some pals after a dance in the city. Badly beaten, he was thrown into the squad car, driven back to the city and told to walk home again. A traveller of my acquaintance was talking to a respectably dressed man in Capel Street one night when a car pulled up, Brannigan jumped out and the ageing traveller was beaten over the head with a heavy implement. He was one manifestation of that violence and arrogance displayed by our various bodies of authority in the 1950’s. As a closing aside: even the proprietors of the Lyric cinema in James’s Street had the bare-arsed arrogance the think they had the right to spray us with DDT as we entered. Rare ould times? They were rare all right! the3 animal gang weren’t the only gang of the ’30’s and ’40’s though undoubtedly they were the best known,having highlighted in more than a number of large scale melees at racecourses like Baldoyle,the phoenix park etc resulting in stabbings,glassings and serious aggro,similar to what went on in England with the Sabinis,the Hill gang,Jack Spots mob,etc etc.There was also an infamous mob around Dun Laoighre,Bray etc called The Black and Whites which i’ve yet to see mentioned.Brannigan also dealt with skinhead gangs in his “own way”. “Rock Around The Clock” makes for hilariously innocuous viewing nowadays as a corny, creaky old potboiler – amazing to think that it caused such mayhem as to be banned! 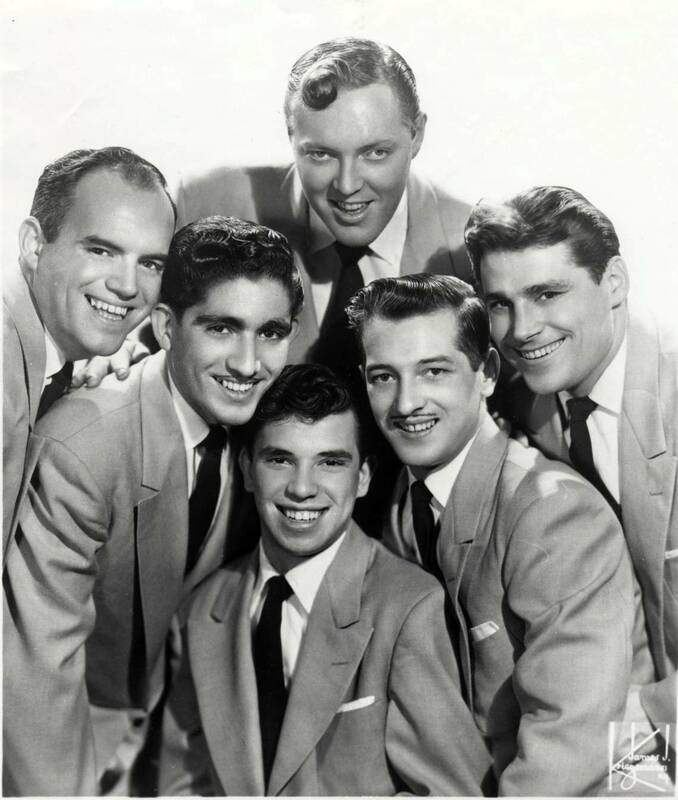 doojen…………..’The scale of the craze was evident in March 1957 when Bill Haley, star of Rock Around the Clock, visited the city with his band, to perform at the Theatre Royal. In scenes quite similar to those six years later when The Beatles would visit the city,’ please read fully BEFORE commenting………..
on October 23, 2017 at 6:25 pm | Reply There’s a club if you’d like to go: The Grove Social Disco. | Come Here To Me!